Remember we attended Weekend of Hell last month? 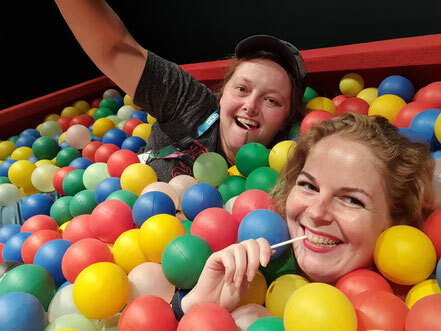 That was one great weekend and we already wrote some articles about it (browse our website and you’ll find that “Weekend of Hell” has a prominent place on it), but we thought it was time for another “Meeting”. And have we got a good one for you…today we will talk about one of the nicest and most talented people we ever met: Sean Patrick Flanery. When he was announced for Weekend of Hell I was very happy. Sean plays in one of my favorite movies ever: “The Boondock Saints”. He also attended “Walker Stalker Con London” earlier this year, but sadly I did not have to chance to meet him over there. This was my second chance (thank you “Weekend of Hell”!) and I sure as hell was set on taking it. Well I’m glad I did, because just thinking and writing about it, puts a smile on my face. Why? 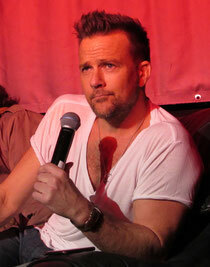 I will tell you all about that later, but first let me quickly introduce Sean Patrick Flanery to you. 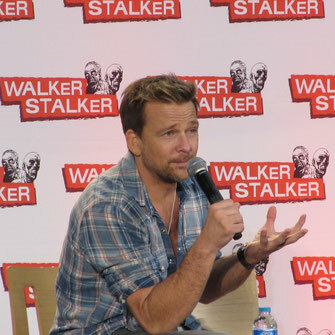 Who is Sean Patrick Flanery? Actor…Author…Father…Husband…Jiu-Jitsu Teacher...auto racer. These are just a few of the things that define Sean Patrick Flanery. He was born in Lake Charles , Louisiana (October 11th, 1965) and raised in Houston, Texas. After graduating from high school, he attended the University of St. Thomas. This is where Sean saw a beautiful girl leaving the same building every week. He decided he wanted to meet this girl and signed up for “whatever the hell they were teaching in that building”. That building turned out to be the University’s Theater Department and the class she was attending was acting. During his theater studies he wrote a children’s play. At one time he decided to pack all his things, get in his car and move to Los Angeles. 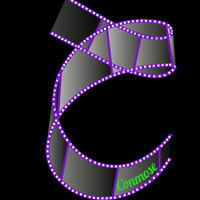 He had the hopes of producing the play he wrote and he wanted to pursue his acting career. At one point he was approached by an agent and Sean got a role in a Kellogg’s Corn Pop commercial, alongside the late Paul Walker. 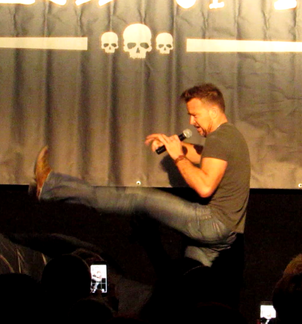 As soon as Sean Patrick Flanery entered the hall at Weekend of Hell he was interacting with everyone around him. One of the first times we walked by he looked at me and asked: “Hast du den blog gelesen?”. I’m from the south of the Netherlands and I’ve studied German in high school for 7 years, but at that moment I had nothing to say. I just stood there and looked like a doofus. Apparently some of Sean’s German fans (Steffi & Cindy)have translated his blog into German and Sean was doing some promotion for this German version of his blog (you can find it on www.shineuntiltomorrowgermany.jimdo.com/). Sean stood there with a big smile on his face and he handed me a flyer. I can tell you one thing, that was not the last flyer we received from him that weekend. Throughout the day we heard a lot of: “Hast du den blog gelesen?”, we got a lot of flyers and we sometimes we even had a little chat with Sean. Of course we attended the Boondock Saints Panel on the Friday (and the solo Q&A on the Saturday), but I will write about that one later on in another article. Of course I wanted to meet Sean properly; not only to get an autograph, but we also had a present for him. We wanted to give him a typically Dutch treat called: “Stroopwafels”. It’s a kind of thin waffle with syrup “caramelly” filling. It was very crowded at his table throughout the day, but at a certain point I just got in line. Behind me Tristan & Sigmund were talking to each other. At one point Sean tried to get Sigmund’s attention and asked him “Hast du den blog gelesen?” Sigmund replied with the question “Have you read our blog?” They talked a little and Sigmund told him there was a card of our website attached to the "stroopwafels" I wanted to give him. Then finally it was my turn, so I stepped to the table. With a big smile he shook my hands and said: “Hallo, wie geht’s?”. Again with the German! I convinced him to talk English to me and gave him the "stroopwafels". He seemed to be very interested in what they were and I am very curious what he thought about them. So Sean if you are reading this: Did you like the "stroopwafels"? He also took a look at the card of our website and said he would check it out. I picked a picture to have signed and of course it was a “Boondock Saints” picture. While he was signing I asked him if Boondock Saints III was happening and he gave me an “off the record” answer, while Carola was filming. Mr. Flanery you are the best! Meeting Sean was a lot of fun and he truly is a great, great guy. He has got a lot of energy and he seems to really care about his fans. I think he is very passionate in everything he does and we haven’t heard to last of him. Like I already said just thinking about meeting him puts a smile on my face and that’s very special. I just recently started to read his book “Jane Two”. Unfortunately at the moment I don’t have a lot of time to sit down and read, but if I had I think I would have already finished it. So Mr. Flanery, thank you for taking the time to make my day! Keep up the great work and until we meet again! P.s. : Check out www.janetwo.com and http://www.shineuntiltomorrow.com for more Sean Patrick Flanery! Also check out http://shineuntiltomorrowgermany.jimdo.com/ for the German version of Shine until tomorrow! I remember seeing him in Saw 3D. It's so cool you got to meet him. I like that he really cares about his fans. That's the best thing to do actually. Hey Carola! This is just awesome. He is smokin hot and it just fabulous that you have got to meet him again. To be honest I didn't know Sean Patrick Flanery and I can't remember him from Dexter or Saw VII, I would need to watch again. 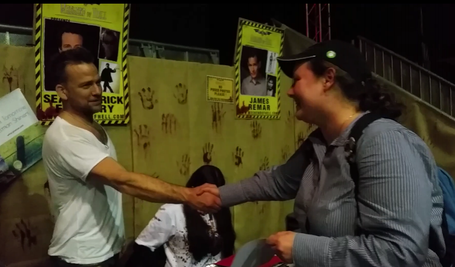 But it's so amazing to meet actors and that in the end they are easy and friendly. With my girlfriend we met Jon Campling on the convention "For The Love of Sci-Fi". Even though he was there mostly for Harry Potter but for Final Fantasy, we took a picture with him for Kingsglaive. And we were actually the only ones for a picture on Sunday as everyone else was there for the other actor of Harry Potter. But we had a short moment in the "Hagrid House". Jon is very kind, friendly and funny.